"Eat a pizza and the world will be better"
Born as a simple dish of the poor people, the pizza is absolutely one of the best culinary discoveries! Its unique taste has conquered millions and millions of people all around the world, probably, the most famous Italian dish in the world. The most popular pizza, in fact is the pizza Margherita, which presents the typical Italian flag colors: the red of tomatoes, the green of the basil and the white of the mozzarella cheese. The pizza is a dish, made by the combination of water, wheat flour and yeast that after a rise of at least 3 hours, is worked in order to obtain a round shape and then cooked in the oven. Also from a nutritional point of view, the pizza is ok! Indeed, a complete dish has to contain vegetables, protein and cereal. So the pizza, besides the fact of being good, has got cereals in the form of flour, tomatoes, mozzarella cheese and olive oil. A typical healty mediterrenean dish! 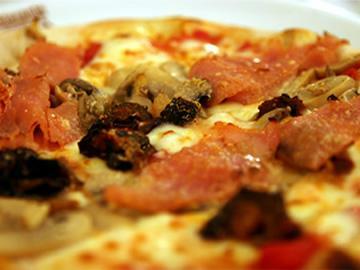 You know, imagination in cooking is endless, and over the time, many versions of pizzas were born. So pizza with vegetables, with cold cuts, with seafood and many, many others. Certainly there are also some wird combinations, but the fantasy in cooking is the main ingredient! 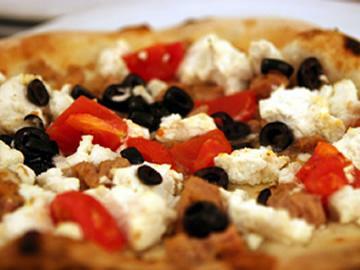 In the Pizzeria Aurora we prepare the real Neapolitan pizza carefully following, these simple, but, useful expedients. 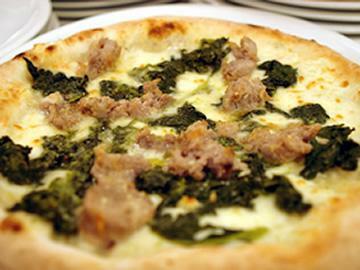 So if you want to taste a pizza in Sorrento, all you have to do is to come at the Pizzeria Aurora!